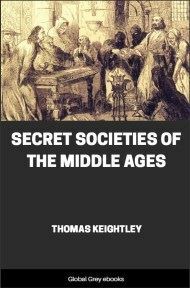 This is Thomas Keightley's history of three secret societies of the Middle Ages: the Assassins, the Templars and the Fehmgerichte. The Assassins, a shadowy group based in a remote stateless area, practicing a radical variant of Islam, and promising their followers a reward in the hereafter if they died in battle, has obvious modern parallels. 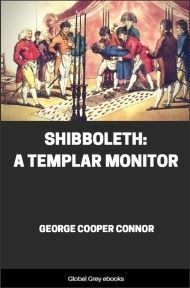 Of interest to contemporary readers will be Keightley's treatment of the Templars, an organization of crusaders who at their height controlled huge wealth and influence from the British Isles to the Holy Land. AT the commencement of the 7th century of the Christian era a new character was about to be impressed on a large portion of the world. During the two centuries which preceded, the Goths, Vandals, Huns, and other martial tribes of the Germanic race, had succeeded in beating down the barriers opposed to them, and in conquering and dismembering the Western Empire. They brought with them and retained their love of freedom and spirit of dauntless valour, but abandoned their ancient and ferocious superstitions, and embraced the corrupt system which then degraded the name of Christianity. 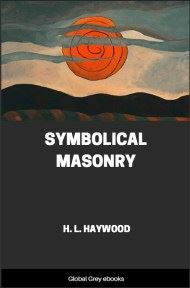 This system, hardened, as it were, by ideas retained and transferred from the original faith of its new disciples, which ideas were fostered by those passages of the books of the Hebrew Scriptures which accorded with their natural sentiments, afterwards, when allied with feudalism, engendered the spirit which poured the hosts of Western Europe over the mountains and plains of Asia for the conquest of the Holy Land. A different picture was at this time presented by the empire of the East. 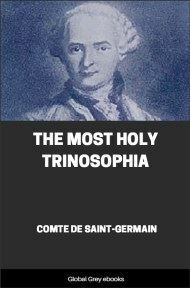 It still retained the extent assigned to it by Theodosius; and all the countries from the Danube, round the east and south coasts of the Mediterranean, to the straits of Gades, yielded a more or less perfect obedience to the successors of Constantine. But a despotism more degrading, though less ferocious, than those of Asia paralyzed the patriotism and the energy of their subjects; and the acuteness, the contentiousness, and the imagination of the Greeks, combined with mysticism and the wild fancy of the Asiatics to transform the simplicity of the religion of Christ into a revolting system of intricate metaphysics and gross idolatry, which aided the influence of their political condition in chilling the martial ardour of the people. The various provinces of the empire were held together by the loosest and feeblest connexion, and it was apparent that a vigorous shock would suffice to dissolve the union. The mountains of Armenia and the course of the Euphrates separated the Eastern Empire from that of Persia. This country had been under the dominion of the people named Parthians at the time when the eagles of the Roman republic first appeared on the Euphrates, and defeat had more than once attended the Roman armies which attempted to enter their confines. Like every dominion not founded on the freedom of the people, that of the Arsacides (the Parthian royal line) grew feeble with time, and after a continuance of nearly five centuries the sceptre of Arsaces passed from the weak hand of the last monarch of his line to that of Ardeshir Babegan (that is the son of Babec), a valiant officer of the royal army, and a pretended descendant of the ancient monarchs of Persia. Ardeshir, to accomplish this revolution, availed himself of the religious prejudices of the Persian people. The Parthian monarchs had inclined to the manners and the religion of the Greeks, and the Light-religion--the original faith of Persia, and one of the purest and most spiritual of those to which a divine origin may not be assigned--had been held in slight estimation, and its priests unvisited by royal favour. It was the pride and the policy of Ardeshir to restore the ancient religion to the dignity which it had enjoyed under the descendants of Cyrus, and Religion, in return, lent her powerful aid to his plans of restoring the royal dignity to its pristine vigour, and of infusing into the breast of the people the love of country and the ardour for extending the Persian dominion to what it had been of old; and for 400 years the Sassanides were the most formidable enemies of the Roman empire. But their dominion had, at the period of which we write, nearly attained the greatest limit allotted to Oriental dynasties; and though Noosheerwan the Just had attained great warlike fame, and governed with a vigour and justice that have made his name proverbial in the East, and Khoosroo Purveez displayed a magnificence which is still the theme of Persian poetry and romance, and carried his victorious arms over Syria and Egypt, and further along the African coast than even those of Darius I. had been able to advance, yet defeat from the gallant Emperor Heraclius clouded his latter days, and the thirteenth year after his death, by showing the Persian armies in flight, and the palladium of the empire, the jewel-set apron of the blacksmith Kawah, in the hands of the rovers of the deserts, revealed the secret that her strength was departed from Persia. The brilliancy of the early part of the reign of Khoosroo Purveez had been but the flash before death which at times is displayed in empires as in individuals. The vigour was gone which was requisite to stem the torrent of fanatic valour about to burst forth from the wilds of Arabia. It is the boast of Arabia that it has never been conquered. This immunity from subjugation has, however, been only partial, and is owing to the nature of the country; for although the barren sands of the Hejaz and Nejed have always baffled the efforts of hostile armies, yet the more inviting region of Yemen, the Happy Arabia of the ancients, has more than once allured a conqueror, and submitted to his sway. The inhabitants of this country have been the same in blood and in manners from the dawn of history. Brave, but not sanguinary, robbers, but kind and hospitable, of lively and acute intellect, we find the Arabs, from the days of Abraham to the present times, leading the pastoral and nomadic life in the desert, agriculturists in Yemen, traders on the coasts and on the confines of Syria and Egypt. 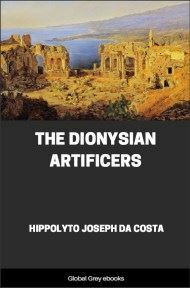 Their foreign military operations had hitherto been confined to plundering expeditions into the last-mentioned countries, unless they were the Hycsos, or Shepherd Kings, who, according to tradition, once made the conquest of Egypt. Arabia forming a kind of world in itself, its various tribes were in ceaseless hostility with each other; but it was apparent that if its brave and skilful horsemen could be united under one head, and animated by motives which would inspire constancy and rouse valour, they might present a force capable of giving a fatal shock to the empires of Persia and of Rome.